Personally, I don’t have a problem with the natural occurrence of gluten in baked goods – however, I feel slightly annoyed by what’s on offer on the average supermarket shelf: highly processed breads that are made with grains that are not only stripped of all their natural goodness, but also contain high amounts of sugars, chemical additives and are low in fibre. They are cheap to mass produce and trigger the body’s call for more without ever being satisfying or nourishing. 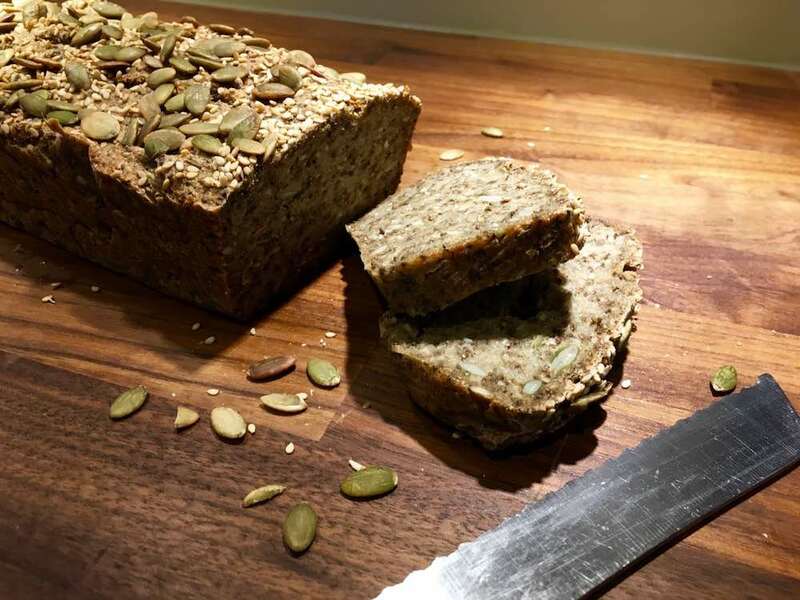 But plastic bread apart, even the lovingly hand baked sourdough bread from our local bakery can proof to be problematic, if said bread makes up 70% of your diet. A toasted cheese sandwich is a fine thing. But not every day of the week. To cut a long story short, I love this easy to make and bake quinoa bread*. Introducing a variety of grains will boost your nutrient intake. 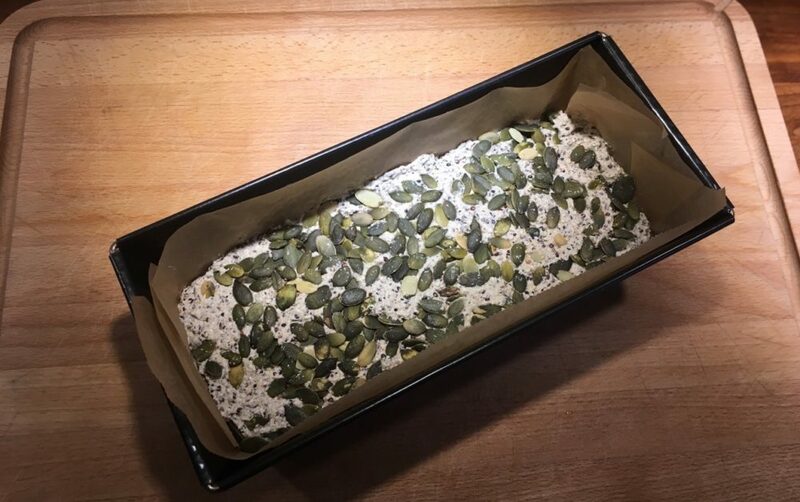 You can top your loaf with seeds of your liking and/or mix herbs like rosemary or grated vegetables into the dough before baking. The other day I tried dried apricots in the dough, which worked a treat. Drain your quinoa. Place quinoa with soaked chia seeds into a food processor. Add the olive oil, a generous pinch of sea salt and a teaspoon of baking powder (baking soda or bicarb soda). Activate the baking powder with a squeeze of lemon. Add 1/2 cup of water. Mix for about three minutes, until the quinoa is broken down and completely combined. Stir in any seeds, herbs or grated veg now. Line a baking tin with greaseproof paper and empty the dough into your tin. Smooth the top down with a spatula or flat knife. Sprinkle with more seeds, if desired. Bake for 90 minutes at 160 degrees C.